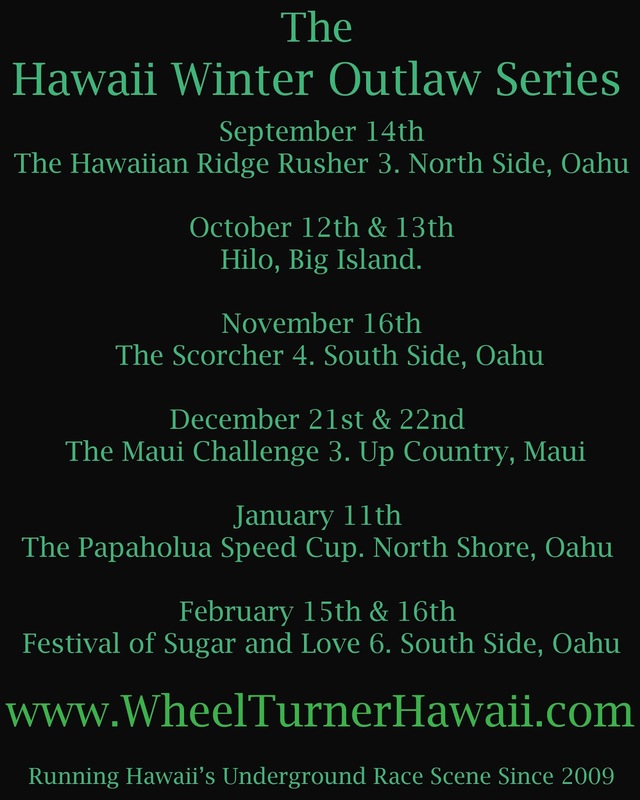 WheelTurnerHawaii.com: The 2013 - 2014 Hawaii Winter Outlaw Series SCHEDULE. 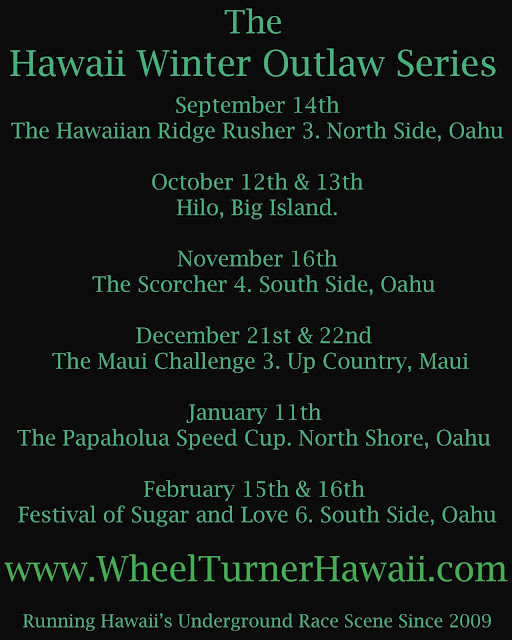 The 2013 - 2014 Hawaii Winter Outlaw Series SCHEDULE. The Hawaii Winter Outlaw Series is creeping up and we are getting ready for another stoke filled season of Hawaiian Outlaw Racing. Here is the schedule, its almost all set so get planning!